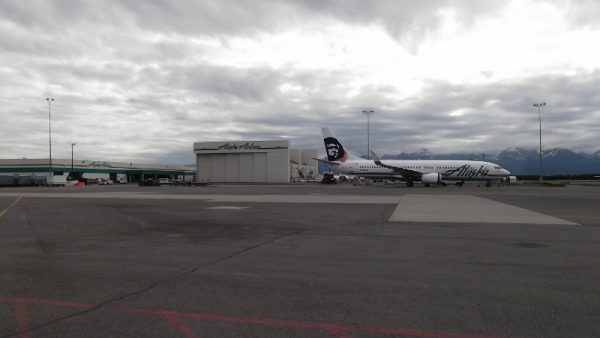 Alaska Airlines is building a new $40 million maintenance hangar at Ted Stevens Anchorage International Airport. The airline says the project, announced Friday, will let them service a growing fleet of bigger, more efficient planes. Regional vice president Marilyn Romano said the new hangar is part of a bigger investment in the state that amounts to more than $100 million, including terminal updates and new cargo planes. And it coincides with Alaska Airline’s purchase of Virgin America, which is set to vastly expand the company’s reach. “It really sets our company up for the future,” Romano said. 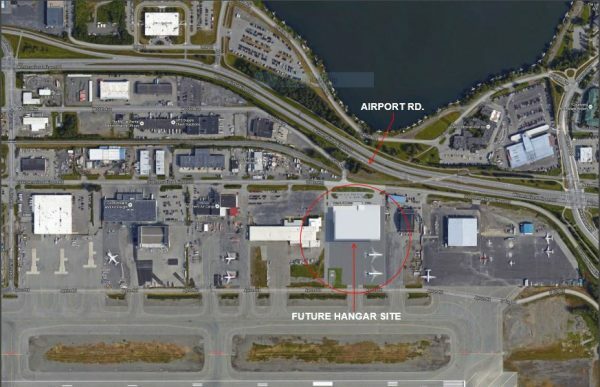 The airline has tapped local architecture firm McCool Carlson Green and general contractor Kiewit to design and build the hangar, which will measure 105,000 square feet—twice as big as the carrier’s existing maintenance structure and able to house two 737-Max 9 aircraft, the largest planes in the company’s fleet. Romano said Alaska is still a key market for the company, even as the state struggles financially. “We see that there’s still a future for business in the state of Alaska, and there’s definitely a future for Alaska Airlines in Alaska,” she said. Construction on the new hangar will begin this fall, and is expected to be completed in spring of 2018.